Shelly Waters recently made the move from Charleston, SC to Portland, ME, and though it may be a huge cultural change going from the South to New England, she has managed to hold on to musical roots that trace back to her home state of Louisiana. Waters possesses a sound that feels like the epitome of the holy tonal trinity of blues, country, and rock. Her South Louisiana upbringing meant hearing swamp pop, old R&B, and rock ’n’ roll on a regular basis. Even all these years later, Waters still finds herself drawn to those styles of music despite being geographically removed from them, and they are what she is most comfortable singing. With her powerful and haunting voice Waters is able to bring her music to life and her lyrics betray a life filled with twists, turns, and adventure. All of this can be heard on her new self-titled album, which is due out on July 28th. Over the course of a dozen tracks Waters translates the ups, downs, and thrills of life into soulful Americana. Today Glide Magazine is premiering one of the standout tracks on the album, “Evangeline”. Featuring the twang of Waters’ Rickenbacher alongside her honeyed vocals, the infectious tune feels like a love letter to a lost partner or perhaps a place close to one’s heart. What inspired you to write this song? Is there a story behind it, something that prompted you to put pen to paper and create? Is there a real-life Evangeline? If so, has she heard the song? The inspiration behind this song came from the Henry Wadsworth Longfellow poem, “Evangeline, A Tale of Acadie.” The poem tells the story of a young couple, Evangeline and Gabriel, who were separated during the exile of the Acadians and who spent the rest of their lives searching for each other. Their heart wrenching search began in South Louisiana, where many exiles settled in what is known today as Acadiana or “Cajun” country. As a native of South Louisiana and Acadian descendent, the sad story is a vital link to a defining part of my Cajun history and culture. There have been songs written about Evangeline, but I took a different approach and wrote this from Gabriel’s perspective. What was the recording process like for this song? What do you think this particular song brings to the album? How does it fit in with any themes that are part of the album overall? “Evangeline” came together pretty quickly in the studio. From start to finish, it just felt good… Musically, it’s more on the easy-listening country rock side, and emotionally, it was my simple way to pay respect to my ancestors and stay connected to my South Louisiana roots. I’ve heard that you are moving from Charleston to Portland, Maine. What will you miss most about Charleston and what are you most excited about in Portland? Honestly, this move is bittersweet. I’m already missing my dear friends and sweet fans in the Lowcountry, but I am very excited about meeting new friends and fans in the Northeast. Shelly Waters releases her self-titled album on July 28th. For more music and info visit shellywaters.net. The Boothbay Harbor Yacht Club will host world famous musician Shelly Waters as its featured entertainer for the 43rd annual BHYC Regatta on Saturday, July 29. Shelly Waters’ musical roots run as deep and wide as the mighty Mississippi River that snakes through her home state of Louisiana. Her sound is the epitome of the holy tonal trinity of blues, country, and rock. From intimate coffee shops to festival crowds of 10,000+, Waters’ winding musical road has led her to share stages with a wide spectrum of artists as diverse as the legendary Loretta Lynn to the amazing Alynda Lee Segarra (Hurray for the Riff Raff). Shelly Pellerin Waters was born to a Cajun-French family and was raised on a farm in Rayne, Louisiana. When she was 10 years, she began taking guitar lessons, and at the tender age of 11, Waters joined J.B. David and the Mule Skinners, a local Cajun French music band. The band played in Cajun dance halls, private events, and music festivals as far away as Nova Scotia. After a year with the Mule Skinners, Waters started her own country band, Shelly and Southern Spice and the band played locally and regionally for many years. Since then, Shelly’s path has led her from Louisiana to Texas to South Carolina and now to Maine. Her ventures and adventures included earning a U.S. Coast Guard captain’s license, living for eight years on a sailboat in the South Carolina Lowcountry, and sailing over 20,000 nautical miles (which included Newport – Bermuda and Marblehead – Halifax races) with her husband and life-long sailor, Dave. In 2014, the husband/wife team were 5th overall in the Newport Bermuda Race Double-Handed Division. Recorded in Nashville with renowned producer/multi-instrumentalist Josh Kaler, her new, self-titled album will be released on July 28 – the day before she appears at the Boothbay Harbor Yacht Club. Call the BHYC front desk for dinner reservations: 633-5750. The Club is located at 156 Western Avenue/Route 27 in Boothbay Harbor. I was born and raised in South Louisiana in a small town called Rayne, Louisiana. Sometimes I’m solo, just me on vocals and acoustic guitar; other times it’s full band with drums, bass, electric guitar and steel guitar. I just moved to Portland, ME (from Charleston, SC) and starting to work my way into the music scene in this region. It’s a vibrant scene with lots of talent, so I’m looking forward to meeting some great musicians here. When I was 10-years-old, it was my Mom’s idea that I learn how to play an instrument. Guitar lessons started and before long, we realized I could carry a tune, too. Within a year’s time, I was a member of a Cajun French music band, then ventured out and started my own country band at age 12. Shelly & Southern Spice was a great experience, but when I started to get the attention of people in the recording business, I panicked and put my guitar away for several years. A lot of life happened in the meantime, and I eventually hit the reset button, moved to Houston, TX, and picked up my guitar again. It wasn’t until a few years ago that I realized I love playing music and entertaining and decided to start writing. I’m now about to release my second album and super excited about what the future holds. What was the first live concert you ever went to? My first country music concert was Reba McEntire and, if I remember correctly, Garth Brooks was there, too. My first rock & roll concert was Huey Lewis & The News; Robert Cray opened for him. Both super cool concerts to an aspiring entertainer. What is your funniest or worst tour experience? There have been several times when my mouth and a microphone = me saying something I should not be saying out loud. I do wish my inside voice was louder sometimes! My Lucchese cowboy boots, coconut water, and bourbon when each show is over. What was the first record you ever purchased? The first one that comes to mind is Bon Jovi’s ‘Slippery When Wet’ album. I absolutely loved it and turned it up as loud as my car speakers could handle! What’s your preferred music format – vinyl, CD, digital, cassette – and why? Definitely digital, easier to listen to and share. What is your website and do you have a music video to share? Website is www.shellywaters.net. I have a YouTube channel with several videos and more videos for my upcoming album release are in the works… we expect these to premiere shortly. Stay tuned! Waters’ new single, “Red Hot Red,” is a 90s-esque country rocker, and brings levity to an otherwise heavy and serious tracklist. “I had written with fellow songwriter Rick Glaze several times before. During one of our sessions in his writing studio in Nashville, he suggested a hook line of “I’ll turn your blue blood red,” she recalls of the song’s origins. “I asked him to tell me more about it. He said he was dating a girl a few years ago in Nashville who was brought up in a privileged and high society… sometimes referred to as a ‘blue blood.’ As things go in romance, Rick proclaimed he was going to turn her blue blood red. I caught right on to the idea and couple hours later, ‘Red Hot Red’ was done,” she continues. “It was one of the most fun writing sessions I’ve ever done. We had a great time with ‘Red Hot Red.’” We’re pretty sure you will too. Without further ado, Mother Church Pew proudly presents “Red Hot Red” by Shelly Waters. Americana singer-songwriter Shelly Waters is set to release her new, self-titled album on July 28. Waters is the daughter of Jimmie and Charlene Pellerin of Rayne and is a 1986 graduate of Rayne High School. She last performed in Rayne on March 14, 2015, at the American Legion Home for the release party of her Drive CD. Announcement and a review of Waters’ new CD was made recently on broadwayworld.com. It follows. Waters’ musical roots run as deep and wide as the mighty Mississippi River that snakes through her home state of Louisiana. Her sound is the epitome of the holy tonal trinity of blues, country, and rock. “I want my music to represent all of those genres — because that’s what I love best — and I love blending those sounds together,” Waters affirms. “Growing up in South Louisiana I listened to a lot of swamp pop, old R&B, and rock ‘n’ roll. Those tones and those iconic voices are what I’m drawn to and that’s what I feel the most comfortable singing. From intimate coffee shops to festival crowds of more than 10,000, Waters’ winding musical road has led her to share stages with a wide spectrum of artists as diverse as the legendary Loretta Lynn to the amazing Alynda Lee Segarra (Hurray for the Riff Raff). Waters has also shared a billing with Randall Bramblett, Curley Taylor and Zydeco Trouble, Kim Simmonds, Savoy Brown, Kitty Wells, Mel Tillis, and a host of other well-known musicians. While Waters’ unforgettable voice and unique blend of genres have captivated audiences for years, her journey began in a sleepy Louisiana town called Rayne. Shelly Pellerin Waters was born to a Cajun-French family and was raised on a farm in Rayne. When she was 10 years old, she began taking guitar lessons, and, being a quick study, at the tender age of 11, Waters joined J.B. David and the Mule Skinners, a local French Cajun band. The band played in Cajun dance halls, private events, and music festivals as far away as Nova Scotia. Touring with a band and signing autographs was quite an adventure for the 11-year-old. After a year with the Mule Skinners, Waters started her own country band, Shelly and Southern Spice. The band played locally and regionally for many years. Along the way, Waters’ heartfelt rendition of Percy Sledge’s “When A Man Loves A Woman” — performed in a college beauty pageant — helped land her a chance to compete for the title of Miss Louisiana America. As she entered her 20s, Waters had the stage chops of a showbiz lifer and she began getting inquiries from labels and others interested in helping her move to the next level. But this is where Waters’ story runs off the smooth, flat concrete of I-10 and into the murky bayou waters. “Life happened,” Waters demurs. Amazingly, she says this without a trace of regret. Waters’ path has led her from Louisiana to Texas to South Carolina and now to Maine. Along the road she experienced the ups, downs, and thrills of life. Her ventures and adventures included earning a US Coast Guard Captain’s License, living for eight years on a sailboat in the South Carolina Lowcountry and sailing over 20,000 nautical miles. While Waters continued to dabble in music, it wasn’t until 2013 that she found her way into songwriting. Her debut album of original music, Drive, was produced by Grammy-nominated guitar phenomena Joe Taylor and released to critical acclaim in 2014. In 2016, Charleston City Paper selected her as a “Best of Charleston” Female Vocalist Nominee. Americana singer-songwriter Shelly Waters is set to release her new, self-titled album on July 28, 2017. Evidence of Waters’ jambalaya-like recipe of sonic spices – and then some – are found within each of the dozen tasty tracks on Shelly Waters, which was recorded in Nashville with renowned producer and multi-instrumentalist Josh Kaler. I believe I’ve met dozens, at least 50, professional musicians in my life. And every time I meet another one, I’m amazed (not Donald-Trump-amazed, but really and truly amazed) at how affable and conversationally accommodating he or she is. Somehow, I don’t think that’s the case with most other artists. The painter Jasper Johns was actually kind and good-humored when I met him a very long time ago, but you hear so often about painters being so into themselves and their long-suffering struggle to gain public appreciation for their genius and self-expression that you have to figure most of them must be like that. Writers, I don’t know about them. I know only a few writers, none of them famous. I hope famous writers are mostly nice people. I think if I met a famous writer I admired and he or she turned out to be smug or condescending, I’d never read another word of theirs, no matter how brilliant they were. I haven’t met any professional actors either, but I’m sure most of them, being actors after all, can at least make you think they’re nice people. Which is OK with me. I doubt if I’ll ever meet a famous actor anyway. I bet Tom Hanks is a really good guy though. The first one I met during a break at Cumberlands was Charlie Musselwhite, the great harmonica player. My son was with me that evening and it was his 16th birthday. (The proprietor allowed my underage son in the place on my promise that he wouldn’t touch a drop of beer.) My son loved to listen to recordings of “Little Walter” Jacobs, the harp player who is still probably the greatest influence on all blues harmonica players since his time. During the break we went up to Charlie Musselwhite — Cumberlands was a tight venue — and I introduced the great musician to my son, whose name is also Charlie, telling him that the show was a birthday treat. Right away son Charlie asked Musselwhite if he had known Little Walter. And he answered, “Sure did. Knew him well. We played together and he taught me a lot.” I still appreciate Charlie Musselwhite for taking the time to talk with my son, even keeping a kind smile on his face when it was clear that son Charlie was more interested in the dead Little Walter than the living, breathing legend right in front of him. During those years in Charleston, I got to know Gary Erwin, nowadays known as Shrimp City Slim, who was a performer, record shop owner and founder/manager of Charleston’s Lowcountry Blues Bash. Gary let me work the gate at several venues during the Bash for a couple of years and I met performers from all over the country. I never met one who was brusque or seemed too hassled to chat for a moment — even the famous Kim Wilson, frontman and harmonica player for The Fabulous Thunderbirds. Well, I’m here to tell you that it’s still holding true. If you’ve read this column for a few years, you’ll recall that I’ve written lots about Joe Taylor of Bennetts Point. The Columbia native moved down to the Point (by way of New York) with his lovely wife Stacey some years ago and they have become a crucial part of that community. He’s one of those genuinely nice musicians who, I’m not a bit surprised, is married to a gem of a woman. In addition to performing all over the place, Joe is a producer and has a first-class recording studio behind his house. His production enterprise is Moonwatcher Music. You ought to do yourself a favor and visit on line. Grammy-nominated Joe is so well connected in the music industry that he brings really large talent to his gigs and to Bennetts Point. He’s even kind enough to talk a lot of those folks into playing for our Bennetts Point St. Patrick’s Day event, which happened again just last Saturday. Because I’ve been the MC for the past I-don’t-know-how-many times, I’ve gotten to meet the folks Joe brings to us. Not one has been anything less than a joy to talk to. Some of it has to be on account of Joe himself. I can’t imagine him putting up with a jerk for long. But I know that it also has to do with the nature of the musicians themselves. I think there’s something about creating music for people and connecting with them that way that’s just good for your soul. At center stage Saturday was the wonderful singer/songwriter Shelly Waters, a singer with a voice I could listen to for a whole day and night and want to hear more after a nap. She’s just put out a CD on the Moonwatcher label, “Drive,” having written all 10 tracks herself. Shelly is as nice as she looks, and that’s saying a lot because she’s a beauty. Bass player Woody Lingle acts like he’s from right around here somewhere, like, say, over in Orangeburg County. That’s because he is from Orangeburg County, but has played bass guitar for Emmylou Harris, Steve Wariner, Ricky Van Shelton, Chet Atkins — even Liberace. Want to to know what his regular gig is? Playing for Gary Puckett and the Union Gap, who I figured had all gone to the Lord by now, but are still kicking aboard 1960s-Flower-Power-themed cruises. The drummer Josh Birmingham came from Macon, Georgia and to me, being a professional musician from Macon is like being a writer from Ames, Iowa. Josh and Woody are simply good people who happen to be very good makers of music. And did those four ever make some music on that stage Saturday. Joe, I thank you, Bennetts Point thanks you, and I hope a lot more Colleton County folk get to see and listen to you and the people you bring in. I know they’ll thank you too. They don’t make as much noise about it as they once did, but residents and visitors at Bennetts Point had as much fun as ever at the annual St. Patrick’s day parade and celebration held on Saturday. Several hundred people showed up for the parade of siren-blaring fire trucks and decorated boats and golf carts, all filled with green-clad children tossing candy, followed by a big meal and great music beside the waters of Mosquito Creek. Leading off the parade as grand marshal was longtime resident William “Bootsie” Brown. He and his wife Virgie were chauffeured by Jerry Baldwin in Baldwin’s Thunderbird convertible. After the parade, people of all ages, from 2 to 92, enjoyed barbecued chicken, catfish stew, chicken perlow and other dishes in front of the bandstand. Every year, proceeds from auctions and donations go to the local fire department and to a fund for community needs. Bennetts Point’s own guitarist and record producer, Emmy-nominated Joe Taylor, rounded up three extraordinarily talented musicians to take the stage with him and they kept the crowd entertained for hours. With her big-time voice, Louisiana-born singer-songwriter-guitarist Shelly Waters presented an amazing range of Southern rock, country and soulful sounds, accompanied by Taylor on guitar, Woody Lingle on bass and Josh Birmingham on drums. 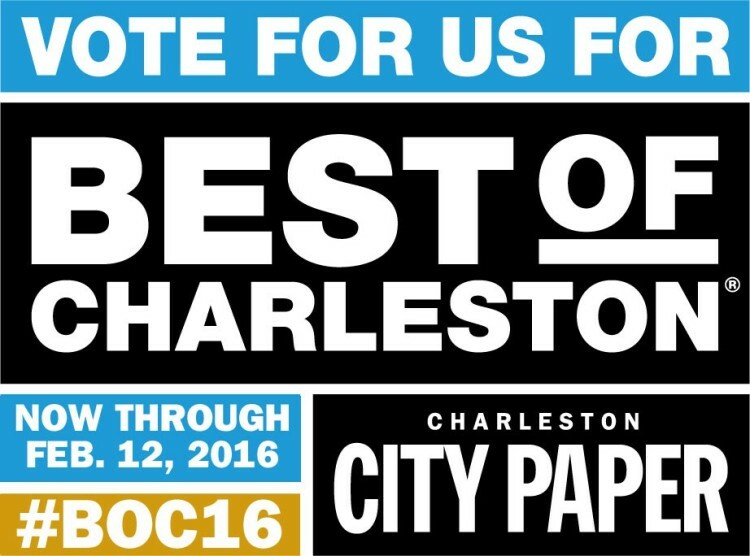 It’s time to decide, once and for all, the Best of Charleston 2016! Shelly Waters has been nominated in the Culture, Arts, and Entertainment section as Best Female Vocalist and Best Local Band. VOTE now through FEB 12, 2016! Just Announced: New Music Confab Showcase Artist! RAYNE – It had been a long time since Shelly Pellerin performed here – about 25 years. Her “homecoming” concert – now as Shelly Waters – Saturday night at the American Legion Home was filled with emotion. “It was great, but at the same time, hard to explain,” Waters said during a breakfast interview the following morning before she and her band left for home. “I didn’t know how I would be received,” she explained. As Shelly Pellerin, Waters was well-known throughout the area, constantly taking the stage during festivals and even fronting her own band after graduating from Rayne High School in 1986. Then she graduated from USL (now University of Louisiana – Lafayette) in 1990, married and moved to Baton Rouge. “I stepped away from music then,” she said. “My guitar spent 10 years in the closet.” But that longing was still there and when she decided to act on it, she did. “I packed up my guitar and moved to Houston,” she said. “I performed with a band and as part of a duo.” It was in Houston that she met Dave Waters, who would become her second husband and sometimes share the stage with her. “He had a full drum set when we met,” Shelly explained. Nine years ago, when Dave Waters’ medical practice took him to Charleston, South Carolina, they moved there. And Shelly kept performing – with a band, in a duo (still occasionally with Husband Dave) and as a solo act. “It really wasn’t until a couple of years ago that it hit me,” she said. “I was on stage, I think during a ‘band gig’ and this feeling just came over me. This is what I want to do. This is what I was meant to do.” Shortly thereafter she put out her first CD, a collection of swamp pop songs. “But that really wasn’t me,” Waters said. Saturday night’s concert in Rayne doubled as the local “release party” for her new CD, “Drive,” a collection of self-written songs. Before long they were opening for Loretta Lynn. “These guys are really talented and I can’t believe I’m sharing a stage with them,” Waters said of her bandmates. “I’m so lucky.” After this weekend’s road trip – they played in Mobile, Alabama, Friday night before the Rayne concert Saturday – the band members will be returning home: Waters and Taylor to Charleston, Smith to Nashville and Shotts to Los Angeles.